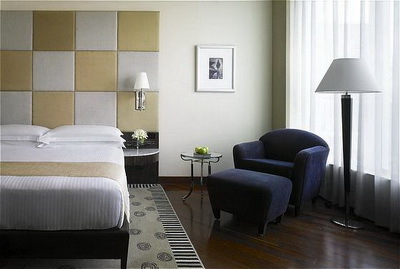 Hyatt Regency Mumbai is the city’s premier gateway hotel. 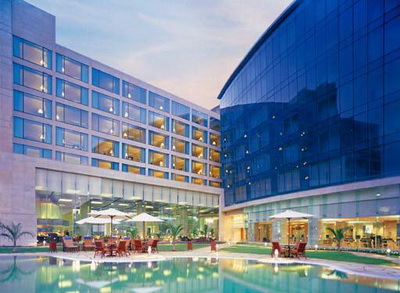 Located adjacent to Mumbai’s international airport and minutes from the domestic terminals, Hyatt Regency Mumbai is ideally positioned to be the preferred hotel for corporate travelers visiting the city of Mumbai. Hyatt Regency Mumbai’s dramatic Lobby interiors feature floating ebony coffers and stacked glass creations enhanced by mood lighting. 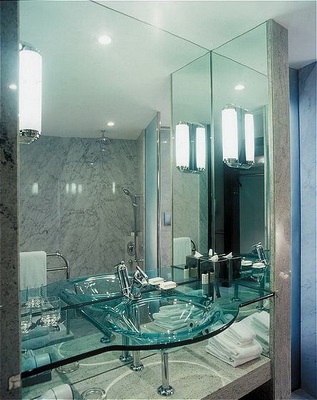 This unique hotel lobby design combines Italian marble and structural glass with an abundance of natural light. 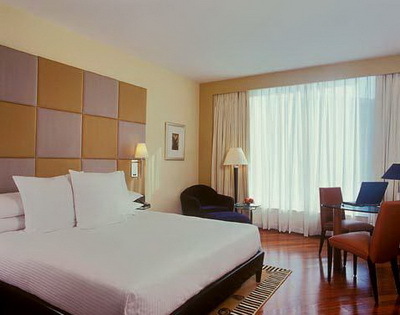 Featuring 408 elegantly designed guest rooms, including two rooms for the physically challenged, 22 suites and one Presidential Suite, Hyatt Regency Mumbai provides a multi-purpose environment in which hotel guests can attend to business and relax. Each hotel room has a luxurious bathroom with a separate step-down bath and rain shower, innovative glass vanities and exceptional lighting. Equipped with a truly functional workstation, flat-screen television, high-speed broadband connectivity, executive bar, tea and coffee-making facilities and an in-room electronic safe, Hyatt Regency Mumbai provides an exclusive array of room amenities for hotel guests. 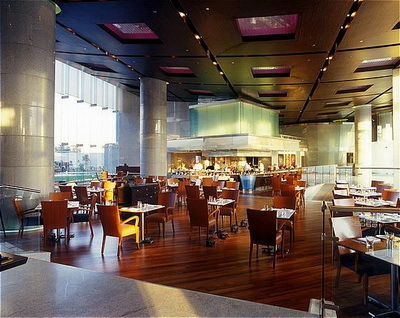 The hotel offers authentic and innovative cuisine in Hyatt Regency Mumbai’s three unique restaurants – Stax, Glasshouse and The Lounge, where the hotel’s commitment to fresh produce and frequently changing seasonal menus provides a dining experience second-to-none. 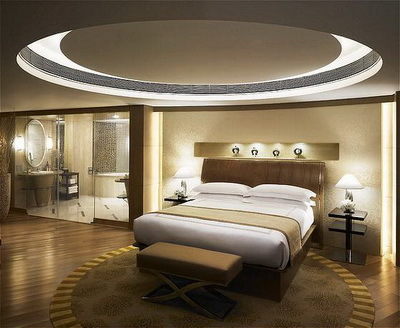 Guests can also indulge in the convenience of the hotel’s 24-hour Room Service. Hyatt Regency Mumbai’s state-of-the-art conference, meeting and catering facilities specialize in innovative and contemporary presentations supported by Mumbai’s first dedicated ‘one-stop’ conference service through the hotel’s Convention Services department. 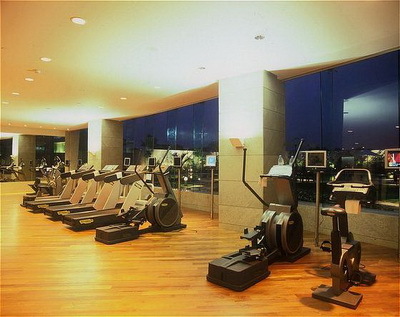 A fully equipped gymnasium and a number of Spa treatment rooms, jacuzzis, fun showers, plunge pools and steam and sauna rooms are available at Hyatt Regency Mumbai’s Club Prana Spa and Fitness Centre. Additional hotel facilities include an outdoor swimming pool, plus night lit tennis and squash courts. All the 408 guest rooms and suites are equipped with broadband instant Internet access, executive bar, tea and coffee making facilities, in-room safes that can accommodate standard-sized laptops, individual climate control, two-line telephones and voice-mail messaging. The hotel features 103 Regency Club® rooms, 282 guest rooms and 23 suites. Non-smoking rooms are available on request. The hotel offers authentic and innovative cuisine in Hyatt Regency Mumbai’s two unique restaurants – STAX and Glasshouse, where the hotel’s commitment to fresh produce and frequently changing seasonal menus provides a dining experience second-to-none. STAX : Fresh homemade pastas to delectable seafood specialties and popular country cuisine to enticing vegetarian selections. The original and robust flavours of each dish is paired with a perfect wine selected from a discerning collection of Italian wines.